Shoepassion is passion for high-quality footwear for him and her. 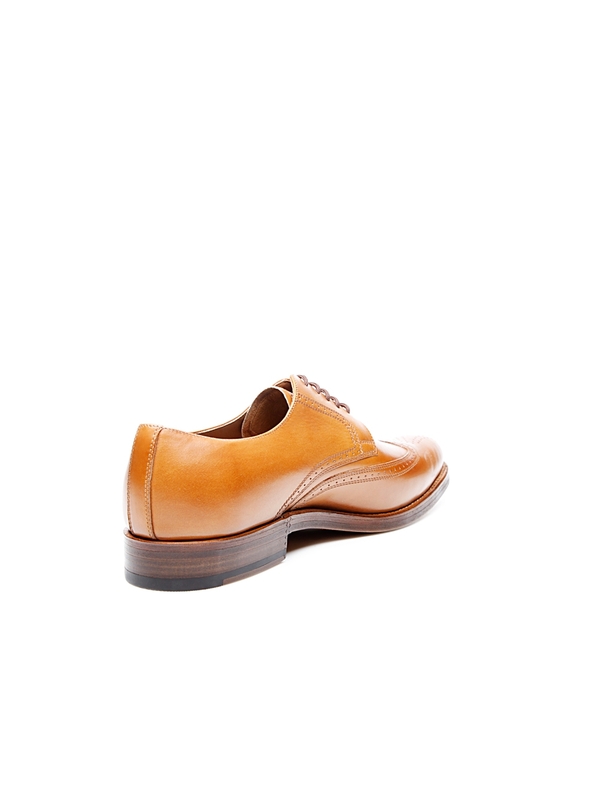 Made from the finest leathers in the shoe centres of Europe. Responsible. Transparent. Award-winning. The collection of classic footwear includes traditional Budapesters with braided welts, lovely broguing and timeless wholecut models. The luxurious shoes in the cordovan collection boast the most coveted type of smooth leather in the world, processed by the Horween tannery in Chicago. Classic knee-high and ankle boots with elegant leather outsoles or robust rubber lug profile soles combine comfort and style. Elegant slip-on shoes exude tasteful nonchalance, a light and airy alternative to classic lace-up shoes. Only in our Heinrich Dinkelacker store can you find expert advice and our entire collection. Discover our shoes in 146 stores in 5 countries. We are glad to help you! Classic men's belts are traditionally closed in the third hole of the belt. Accordingly, the belt length always refers to the distance between the outer edge of the buckle and the third hole of the leather strap, also known as the closing length. This distance should be the same as the width of your trouser waistband. Tip: Belts from Heinrich Dinkelacker can be shortened quickly and easily. First remove the buckle's screw-fastening and adjust the belt length to your liking. Afterwards, you can reattach the buckle. 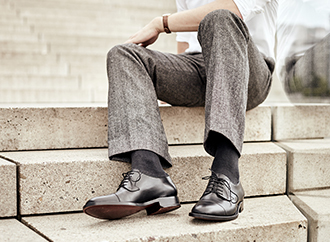 Meticulously Sewn-Welted Sewn-welted shoes are distinguished by their narrow heel construction. 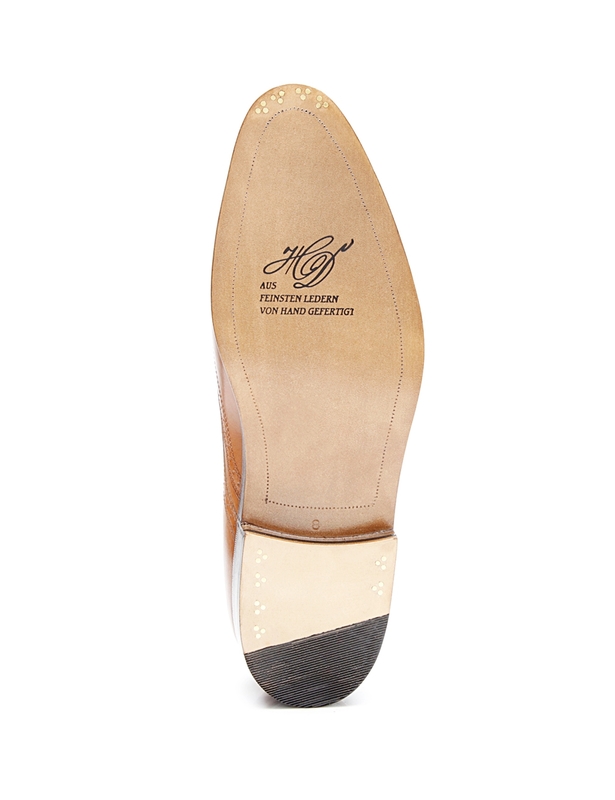 The front of the heel is stitched from the inside out, and the heel is nailed into place. Completely Handcrafted Each pair of shoes goes through 300 work steps, from cutting the leather to applying the finishing touches. The result: a work of the utmost handcrafted perfection. 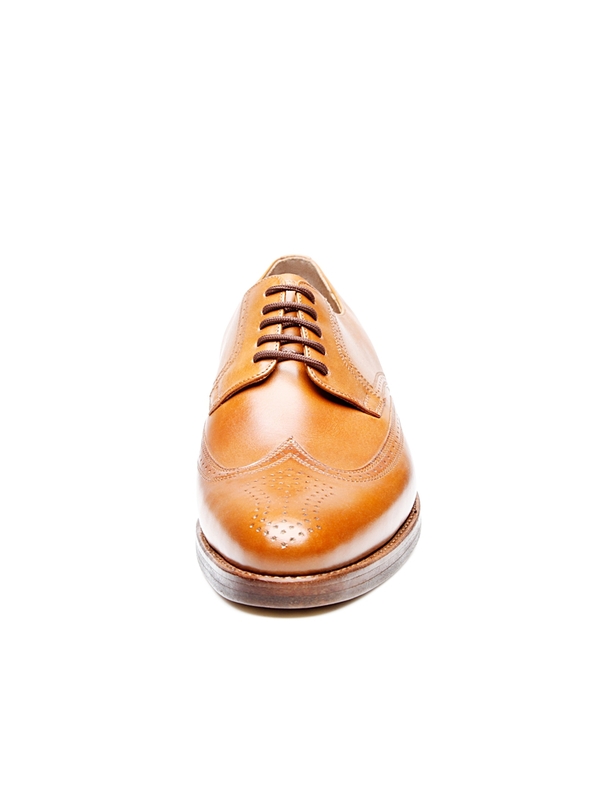 Full-Brogue Derby The edges of the shaft pieces and the heel and wing caps on this classic shoe feature decorative Lyra perforation and lend the design a lively feel. 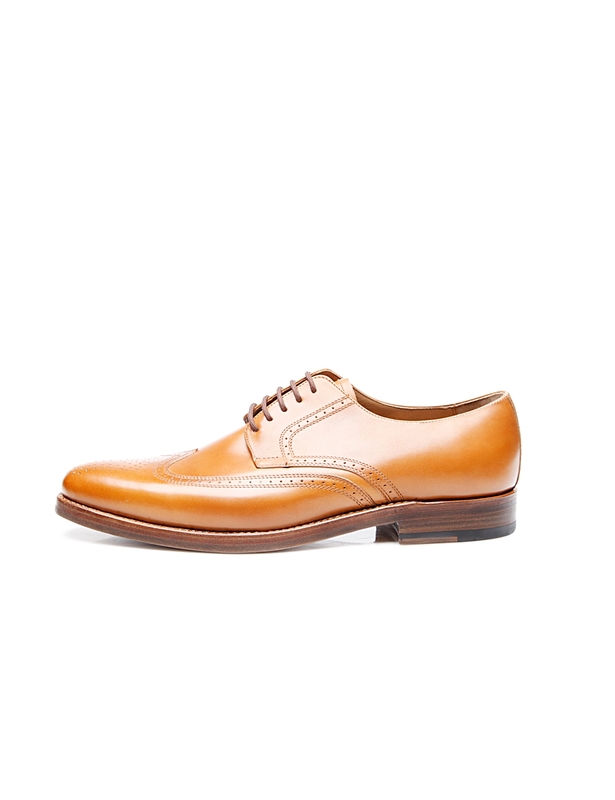 Premium Antique Calf This aniline-dyed calfskin develops a breathtaking patina over time. Striking color nuances are the result of meticulous polishing with wax. Milano Last – Width G The Milano last is distinguished by its narrow form. It has a sleek and elegant shape. 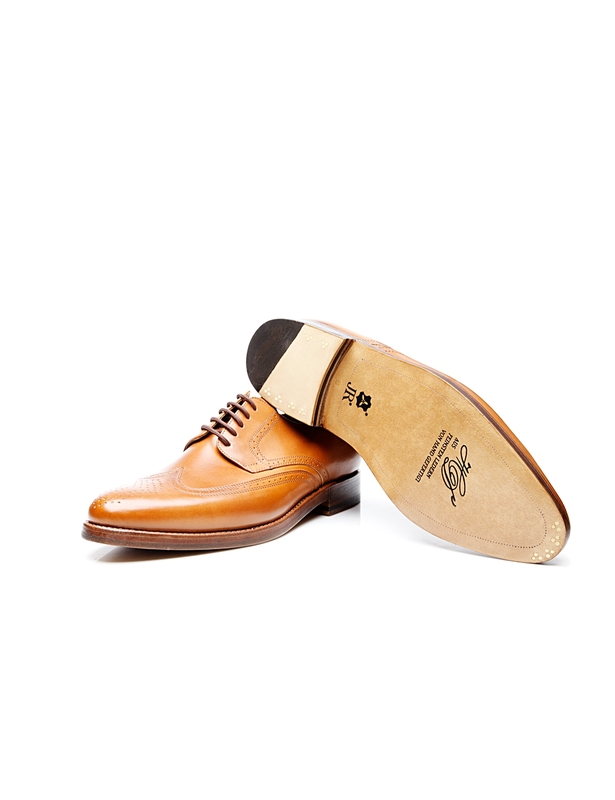 Double Sole with Set of 3 Nails A flexible leather midsole and a leather outsole made by the renowned Rendenbach tannery guarantee comfort and durability — supported by a set of three nails. Free shipping on all orders from $149. 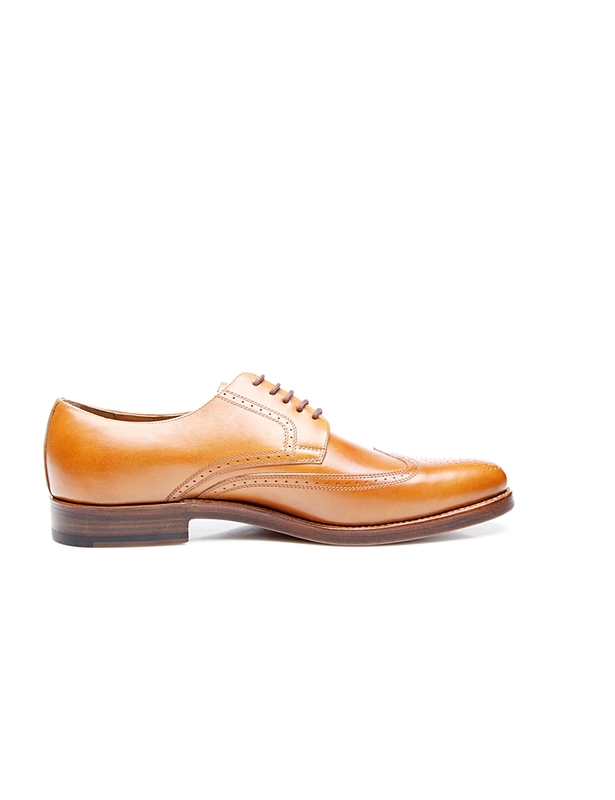 Elegant and lively, this sewn-welted full-brogue Derby for men features meticulous perforation along the edges of the shaft pieces as well as at the front. Delicate decorative holes with a downright geometric meticulousness to them create a thrilling contrast against the curved wing cap. 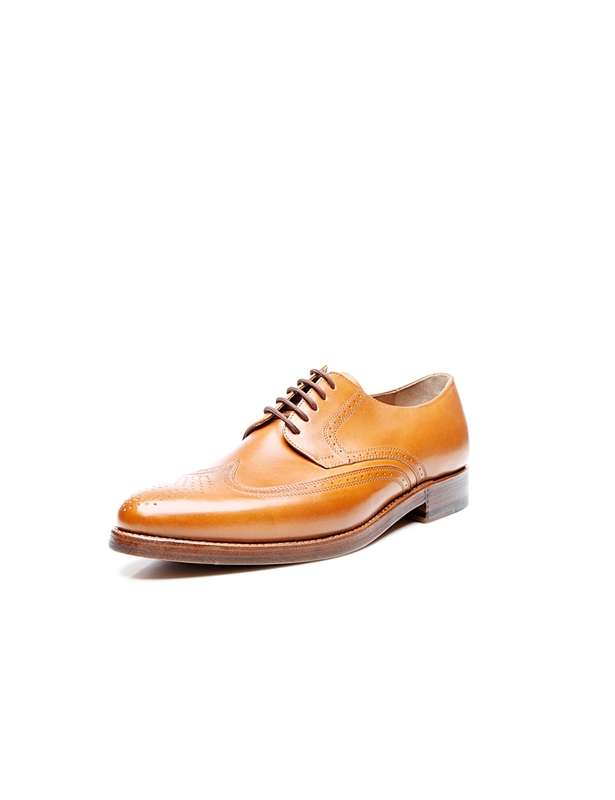 The lovingly detailed decoration on the upper portion of this classic, full-leather men’s shoe is an expression of the masterful craftsmanship that went into this model’s making. Its upper consists of sophisticated, fine-grain antique calf, which develops a breathtaking one-of-a-kind patina over time. 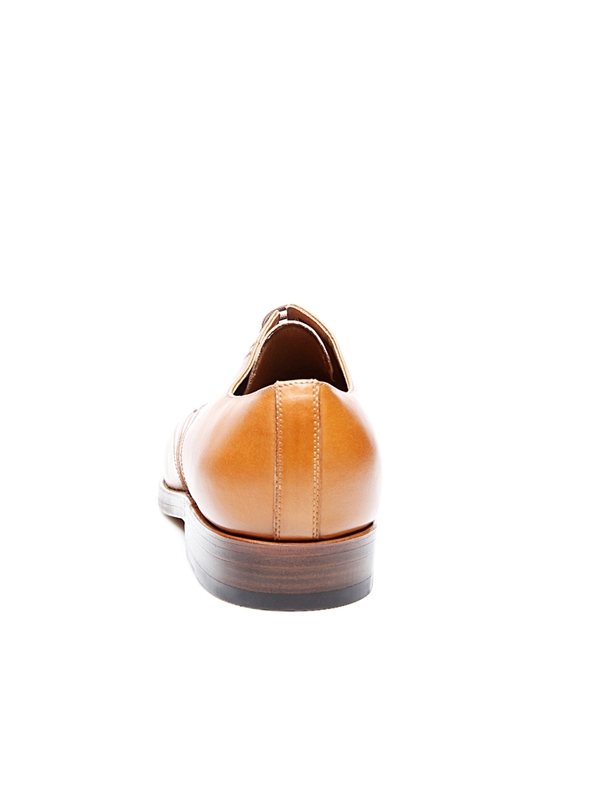 Moreover, a Rendenbach leather outsole ensures durability and the utmost wearing comfort. Our unique men's shoes are made using a meticulous handcrafting process that entirely foregoes conveyor belts - a method that has now become rare. As a result, our factory is limited to making just under 25 pairs a day. If you would like to place a binding preorder with us, we will plan to produce your model of choice exclusively for you. Due to high demand, it may take up to three months until you receive your new pair of shoes. 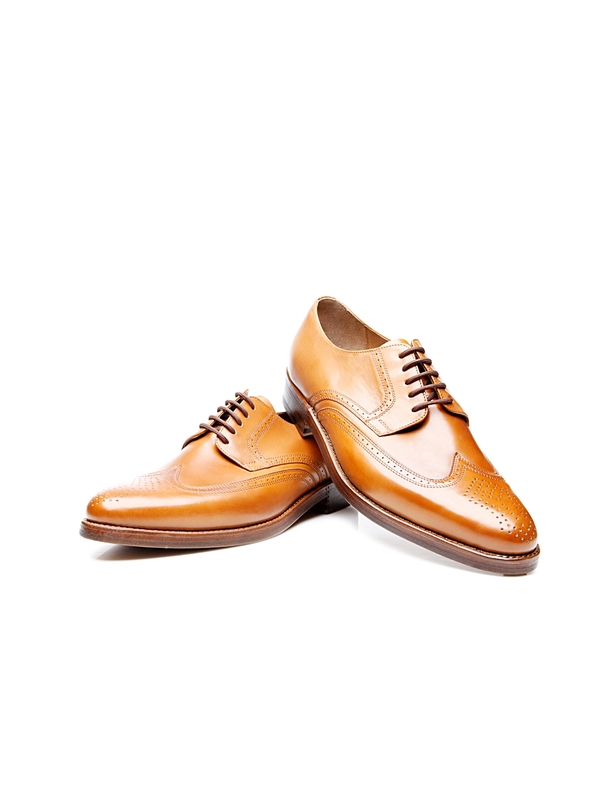 We promise that the uniquely high quality of each Dinkelacker shoe makes it well worth the wait! Please provide us with your contact information to place a binding preorder. We will contact you shortly to finish processing your order. Thank you for placing a preorder! You will receive an order confirmation via e-mail shortly. A technical error occurred. Please contact our customer support. Crafted by a master. Worn by an Expert. Each day, the best cobblers in Hungary only make about 25 pairs of Dinkelacker shoes in our Budapest factory: This is one of them. As a result, Germany’s most exclusive men’s shoe brand is only available in limited qualities, from selected retailers or here in our online shop. 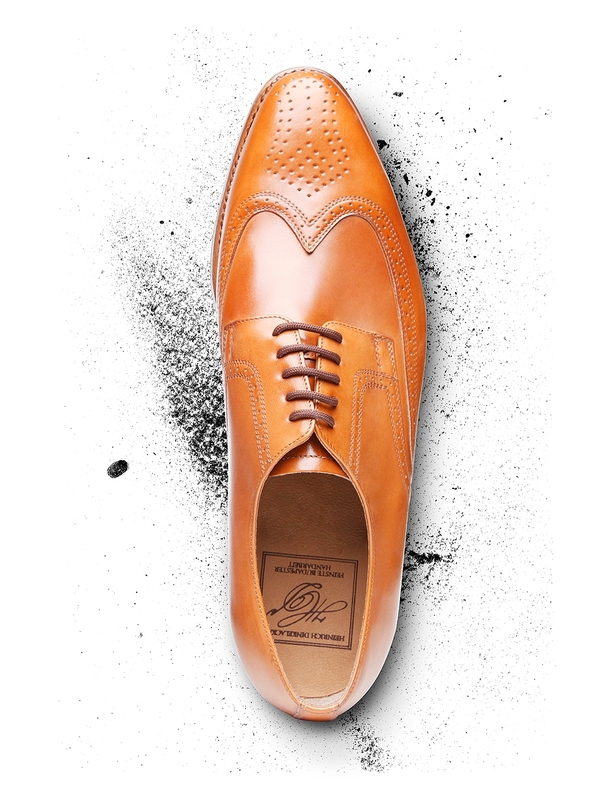 Only the most sophisticated materials are used to make hand-crafted Heinrich Dinkelacker footwear. Moreover, each shoe spends six whole days on a last in our factory. This pays off for wearers, ensuring extreme durability and magnificent fidelity to fit that put this footwear in a league of its own. 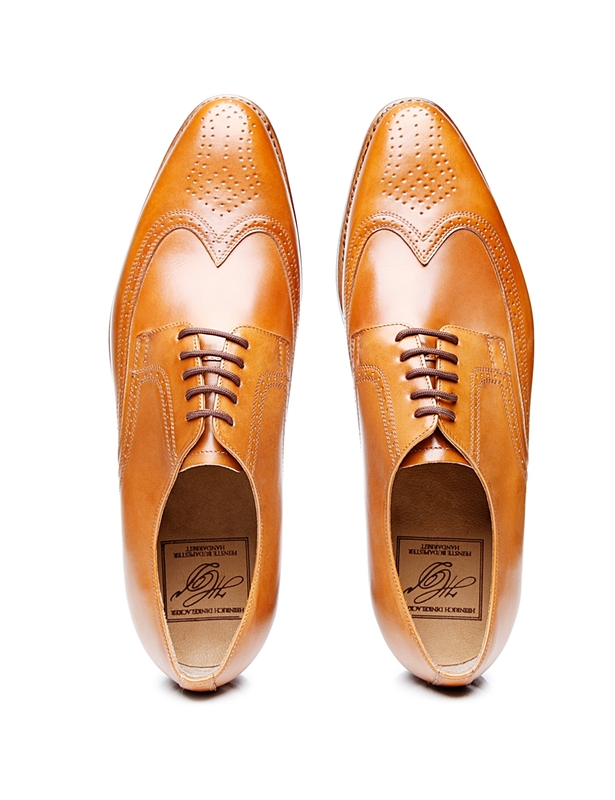 Heinrich Dinkelacker has gone further towards defining the Budapester than any other shoe brand. Some of our lasts have been in use for over 60 years. 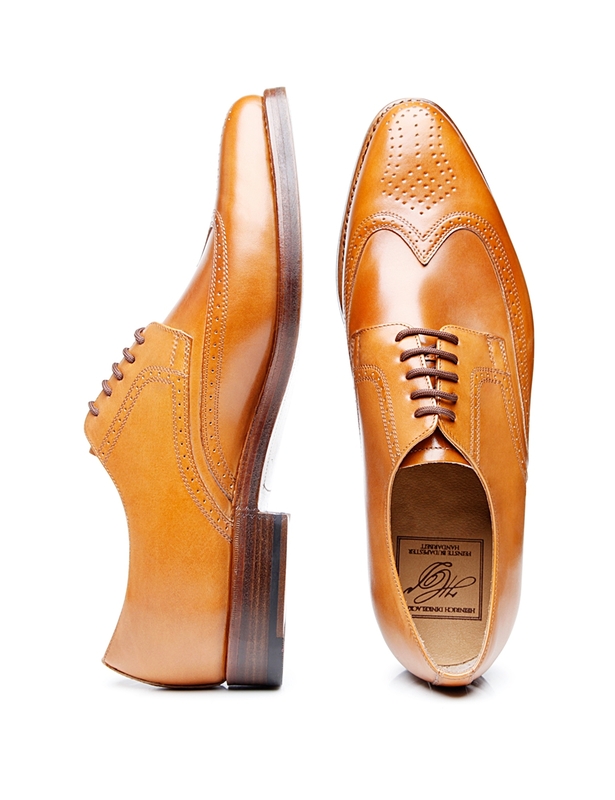 Our shoes feature striking and unique details that make them instantly recognisable to insiders, from top managers of stock-listed enterprises through to Berlin-based hipsters. Stay in touch with me. Subscribe to newsletter and download Heinrich Dinkelacker Brand Paper.